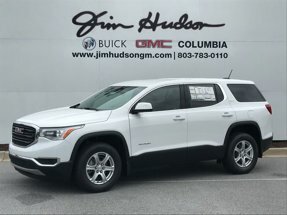 Description This 2019 GMC Acadia FWD 4dr SLT w/SLT-1 is offered to you for sale by Jim Hudson Buick Gmc Cadillac. Want more room? Want more style? This GMC Acadia is the vehicle for you. There is no reason why you shouldn't buy this GMC Acadia FWD 4dr SLT w/SLT-1. It is incomparable for the price and quality.